If you imagine someone who is brave enough to withdraw all his projections, then you get an individual who is conscious of a pretty thick shadow. Such a man has saddled himself with new problems and conflicts. He has become a serious problem to himself, as he is now unable to say that they do this or that, they are wrong, and they must be fought against. He lives in the “House of the Gathering.” Such a man knows that whatever is wrong in the world is in himself, and if he only learns to deal with his own shadow he has done something real for the world. He has succeeded in shouldering at least an infinitesimal part of the gigantic, unsolved social problems of our day. The Myers-Briggs Type Indicator (MBTI) assessment is a psychometric questionnaire which was created to measure the way in which humans perceive the world and how they make their decisions in using psychological preferences. 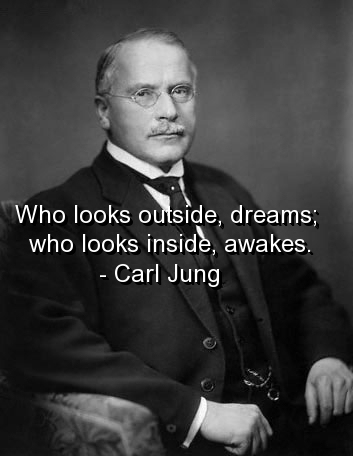 These preferences were theorized from the typological theories proposed by Carl Gustav Jung, and first published in 1921 in his book Psychological Types. Jung concluded that there are four principal psychological functions through which people experience the world: sensation, intuition, feeling, and thinking, and these are attached to either an extroverted on introverted personality. He claimed that one of these four functions is dominant most of the time. According to Katharine Cook Briggs and her daughter, Isabel Briggs Myers, who developed the MBTI, the test sorts some of these psychological differences into four opposite pairs, or dichotomies, with a resulting 16 possible psychological types. None of these types are better or worse; however, Briggs and Myers theorized that individuals naturally prefer one overall combination of type differences. The dichotomies are Extroversion versus Introversion, Sensing versus Intuition, Thinking versus Feeling, and Judging versus Perception. Books have been written on this subject, and the best starting place, when working with shadows, is to find a Myers-Briggs-like test (if you cannot afford to take the actual test), and then research the results. You will find plenty of information both online and at the library. Sometimes, the best starting place is knowing what your tendencies are, and proceeding from there. A few test links are: Humanmetrics test; Personality Pathways test; and the Truity test. And, that’s just a few of dozens. Next week: The Enneagram style of personality typing.